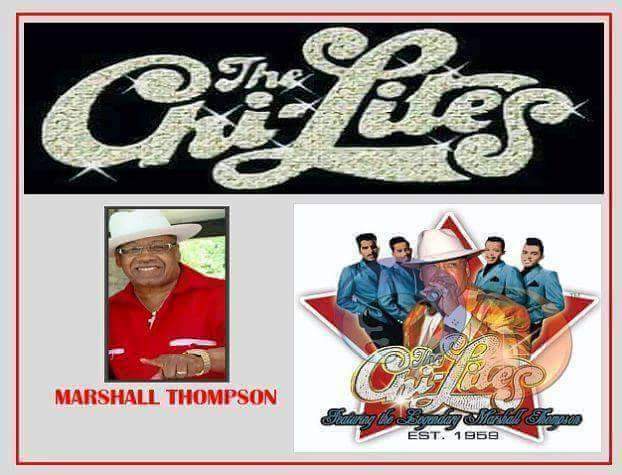 Home LIFESTYLE	A BACKBEAT R&B EXCLUSIVE INTERVIEW WITH “CHI-LITES” MARSHALL THOMPSON! 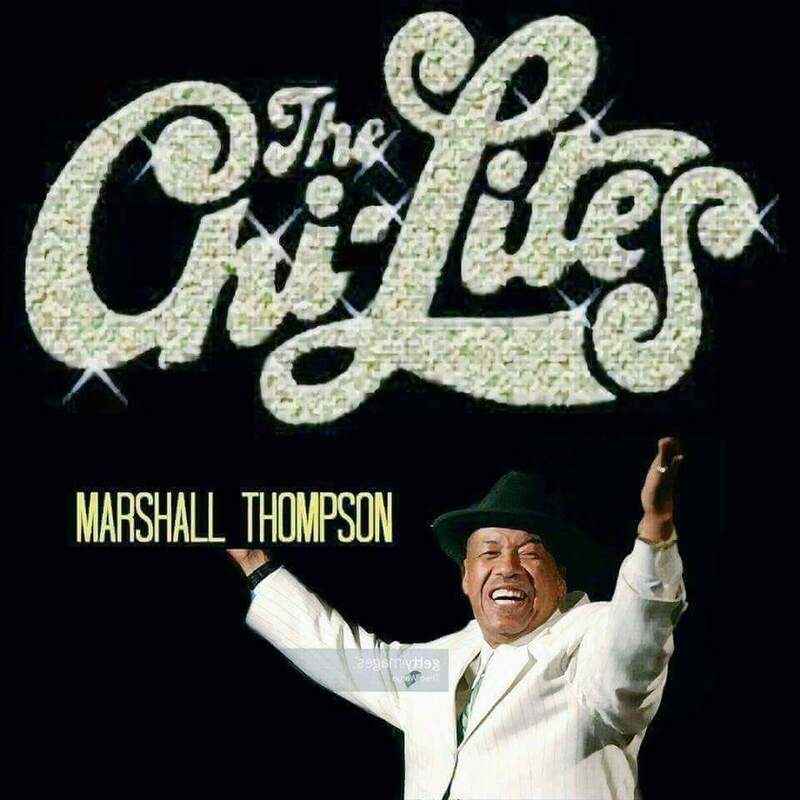 I recently had the pleasure of interviewing the legendary Marshall Thompson, he is the only Original surviving member of the R&B singing group “The Chi-Lites”. Marshall is not only a great singer and entertainer, but he is also a drummer and an author of the book called ” Last Man Standing”. The book is about Marshall’s candid story from his childhood to the “Chi-Lites” origination and rise to fame. The many struggles, the good times and the”Misery along the way” as Marshall indicates in the book. So, Backbeatrnb caught up with Marshall Thompson to discuss some his latest ventures and where he and the Chil-Lites will be performing next. BACKBEATRNB: Who was your first musical influence? Marshall Thompson: Well, I started off playing the drums with Gladys Knight and the Pips as you seen in “Unsung “, that was the very first group that I ever embraced. We would play our music at the Regal Theatre in Chicago then I move to the group project after that and performed all over the world. BACKBEATRNB: Which do you prefer, studio work or performing live? Marshall Thompson: Well, I go all around, it really doesn’t matter. I have been the leader of the group ever since we started 57 years ago. Show business is show business. BACKBEATRNB: What is your favorite Chi-Lites song and why? BACKBEATRNB: Are there any new projects in the works? Marshall Thompson: Well I have the “Hold On To Your Dreams” record. Right now it is one of my highlight songs when I come on stage. Of course, just being out there on the road and performing live, we have enough records, so we are not really thinking about recording right now. You know we have over 40 albums, so anything we put out would be original people, we don’t have to worry about new people trying to sing or play too! I don’t have time to bring new voices in when it comes to new records. Age wise, we sound like just how the Chi-lites would sound. BACKBEATRNB: How do you handle mistakes during a performance if and when it happens? Marshall Thompson: Well everybody makes mistakes but, typically if you are a professional we learned how to cover it up so the audience won’t notice. But if you are an amateur it can be difficult, but a pro knows how to cover it up! BACKBEATRNB: I would love to see a battle of the old school performers, I think it would be great! If so would the Chi-Lites take part in the performance? Marshall Thompson: We don’t too much call it a “Battle ” anymore. You just come in, and everybody comes in to perform their hits. Because the audience wants to hear their favorite hits sung by those groups from back in the day, of course with the people’s favorite songs, they show their love for that. When we were younger, of course, the competition was there to call it a “battle” and we would say yeah, let’s go get them, let’s go burn them out but, we don’t have to do that anymore. All we do is come out there and sing. It’s like the O’Jays who will be performing with me on Dec 31 at the Star Plaza Theatre in Merrillville, Indiana. People come to see the O’jays for the O’jays and the Chi-Lites for the Chi-Lites. BACKBEATRNB: When are the Chi-Lites coming to perform in the NYC/Long Island Area? Marshall Thompson: We will be in New York on January 14, 2017, at the St. George Theatre in Staten Island along with Russell Thompkins and the Stylistics. I want to thank Mr. Marshall Thompson for giving me the opportunity to share some of his views and take time out his schedule to be interviewed by me. 5 GREAT R&B HOLIDAY IDEA GIFT PICKS!